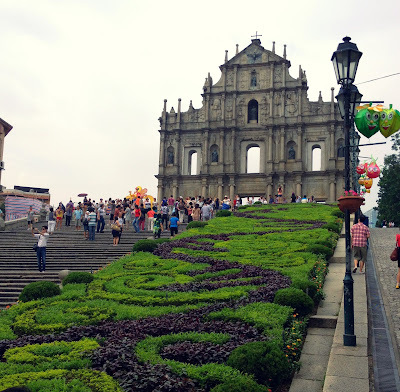 Cheap Accommodation in Macau – Mission Impossible? Once I met a Dutch guy who had flown to Macau on a visa run, planning to stay there for a few days or weeks. He believed that Macau was much cheaper than neighbouring Hong Kong, the latter being known as one of the world’s most densely populated cities as well as a major global financial hub. It didn’t take him long to realise that he had made a mistake. The first thing he did upon arriving in Macau was, of course, to look for a cheap hostel. Little did he know that Macau has no hostels! To his surprise he could find no cheap accommodation and had no choice but to spent around HKD400 for one night at a hotel. Macau turned out to be so expensive that on his second day he moved to Hong Kong. Despite having heard his story, I did not learn the lesson. I still believed I would find a hostel. After all, I had been to hostels in small cities like Triest, Krakow, Salzburg. How could Macau, whose GDP depends entirely on tourism, have no hostels? Probably, the guy should have looked for a hostel online before arriving in Macau, I thought. I searched on hostelworld but found nothing. So I googled ‘Macau hostels’. An old article from About.com listed only three hostels. One of them was Augusters Lodge, which seemed to be the best one in Macau; Lonely Planet selected it as one of the recommended hostels on Macau peninsula. I clicked on the link and found out that the hostel had been closed "due to new regulations of the Macao Government". According to the hostel's website, business had been good. Its three rooms "could not nearly meet the demand, nor the expected rising demand within the near future". The only budget accommodation I found was San Va Hospedaria, which calls itself a hostel but is in fact a low-cost hotel. Located on Rua da Felicidade, in an old building from the 1870s, it is Macau's oldest guesthouse, opened in the 1930s. A one-bed room costs HKD/MOP 220 on Sundays to Thursdays and HKD/MOP 320 on Fridays, Saturdays and holidays. Actually not even very cheap. But the worst is that San Va has squat toilets and no air-conditioning. Two things I wasn't willing to accept. Despite a good location and a traditional atmosphere, it was not exactly a good bargain for the price (I heard they may have renovated the hostel, so I might give it a try in the future, but I definitely won't put up with squat toilets). Since the 1999 handover the government of Macau Special Administrative Region (MSAR) has been luring wealthy tourists from mainland China who go there to gamble away their fortunes. The authorities seem to care little for the millions of potential middle class travellers who, like me, would love to spend some quality time in the city but are not willing to spend thousands of patacas. Moreover, hostels are not just cheap lodgings for broke people; they are places where travellers can meet new friends (and, in my opinion, that’s the main point). The MSAR government does not allow hostels or B&B to open in Macau. In 2010 it passed a law on “Prohibition of Providing Illegal Accommodation” which states that “People who provide guest accommodation to the public in premises other than hotels (including residential, commercial or industrial premises) and without a legal hotel licence can be regarded as providing illegal accommodation”. A website of the Macau government explains that “At present, there is no legal ‘family hostel’ or ‘B & B’ (Bed and Breakfast) in Macau … All legal hotels, guest houses or inns have a license issued by the Macau Government Tourist Office, and the license should be placed in the accommodation premise”. This means that hostels are de facto outlawed. The fact that Macau has no hostels really shocked me. Hong Kong, despite being much bigger and more densely populated, has plenty of hostels. Sometimes I paid just HKD 98 per night (around 10 euros!). I had to face the reality, so I decided to try Couchsurfing. But I had no luck. Only one person replied to my couch request, and she said she didn't know if she could host me; she asked me to write to her again a couple of days before my arrival, but that was too short-term for me. Eventually I chose an expensive option: Airbnb. At least, I thought, I would be able to see how local people live. Although I had to reduce my stay from the planned two weeks to only four nights, Airbnb proved to be a good choice.